If you’re like many people in San Diego and across the country, you like listening to music. And let’s face it: the louder it’s played, the better it sounds! With the possible exception of easy listening music, of course. But play your music too loudly, and you’re at risk of developing noise-induced hearing loss. Noise-induced hearing loss is defined as permanent damage to your hearing as a result of noise exposure. An estimated 10 million Americans have experienced irreversible hearing damage that resulted from exposure to loud sounds, and 30-50 million more are exposed to potentially dangerous noise levels every day. NIHL is considered the most common cause of hearing loss, and because the condition develops gradually over time, most people don’t even realize they are suffering from a problem until it’s too late. The good news? NIHL is almost entirely preventable. Proper hearing protection greatly reduces your risk of damaging the tiny hair cells in your cochlea. While any noise exceeding 85 decibels can contribute to hearing loss, music is one of the biggest culprits – especially when you listen with headphones or earbuds. Headphones are a great way to enjoy music without disturbing others, but doing so may cause irreparable damage to your hearing. While manufacturers have cut back on the volume levels headphones are able to produce in the past couple of decades, the problem occurs when people wear them for extended periods of time. If you’re like me, you’ll slip on a pair of headphones and listen for hours at a time while doing work. 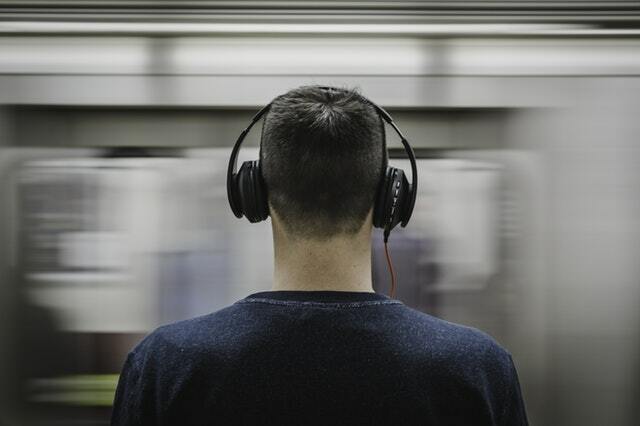 In addition, people tend to use headphones to block out other noisy environments, but in doing so they overcompensate by listening for long periods of time at higher volume levels, negating any positive effect. It’s a vicious circle of sorts! But by taking precautions and choosing your headphones carefully, you can reduce your risk and even help to prevent noise induced hearing loss. There are steps you can take to make headphone use safe. Obviously, you should turn down the volume and limit how long you use them. Consider the 80-90 rule, which stipulates that if you listen to music at 80% of maximum volume, you should limit your use to 90 minutes. The type of headphone you choose matters, as well. Noise-canceling headphones rely on technology that creates sound waves that block outside noise, allowing you to listen at a lower volume level since you do not have to turn up the music in order to drown out other noise. Some models have features that automatically adjust volume levels based on how long (and how loudly) you’ve been wearing them. Noise-canceling headphones vary widely in price depending on brand and features; consult your favorite consumer site for ratings when shopping around and determine whether you really need all those bells and whistles in the first place. When in doubt, your San Diego audiologist can help you choose a pair of headphones perfect for your listening needs. →What Type of Hearing Aids are Best for You?